Disclosure: Jessie is the director of the MFA program I am enrolled in. And it’s so hard for me to separate this book from the Jessie I know. I felt like I heard the lines read aloud in her measured, careful tones, with attention for each sound within them. Impartial I guess I am not, but I’ll tell you my opinion anyway, that this is a beautiful book. Aimee and Crystal Lemley are holding it together, a decade after their father Cord, preacher at the Glorybound Holiness Tabernacle, predicted the end of times and then left town after times didn’t end. Their hometown of Cuzzert, West Virginia, population 335, is the kind of place where people stop over and then keep going. The girls take care of their mother Dotte and keep faith to the vows they made when Cord left: Crystal does not speak, and Aimee is celibate. They intend to be woman-prophets–by the rules of Glorybound, they will be able to prophesy but not to lead from up front. Then a new teacher comes to town, from a volunteer program, sent from Chicago. His name is Aubrey Falls–Aimee calls him “sweet Aubrey Falls,” like an epithet. Aubrey finds the missing patriarch preacher Cord, and hopes to reunite him with his daughters. He uproots the past, which had come to feel well-buried in the drought-ridden, crusted-over, slow-moving Cuzzert; he raises questions and disrupts the Lemleys’ stasis. Unwitting, he becomes part of a swell of change. This story, in its framing elements–setting in time and place and culture, religious backdrop and markers–is foreign to me. In fact, the Lemleys’ lives and understandings of the world are so caught up in their church that I would normally steer clear of them. In this way I’m like Aubrey. 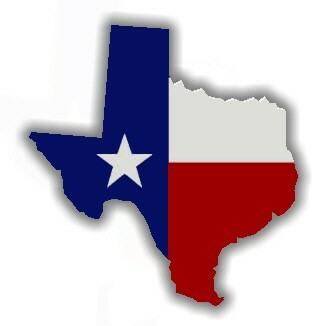 But like Aubrey, I was pulled along by the charm and charisma of Aimee and Crystal and the whole dysfunctional town. I guess in part I trusted in Jessie, whose work I knew to be luminous; but this book is luminous from its first lines, shines from within in a way that marks it as special, so I don’t think it mattered that I knew Jessie was an amazing writer beforehand, at all. There is a magic beneath the words on the page, which glow and sing with music. These characters are all a mess and not quite decipherable, but they also feel perfectly portrayed, as in perfectly represented in all their weirdness; authentic. Think of entering a dark movie theatre and being transported, coming out with that dazed surprise at the world you live in, after all. I realize I’m being a bit mystic and vague in my praise–perhaps the tone of this book has rubbed off on me. 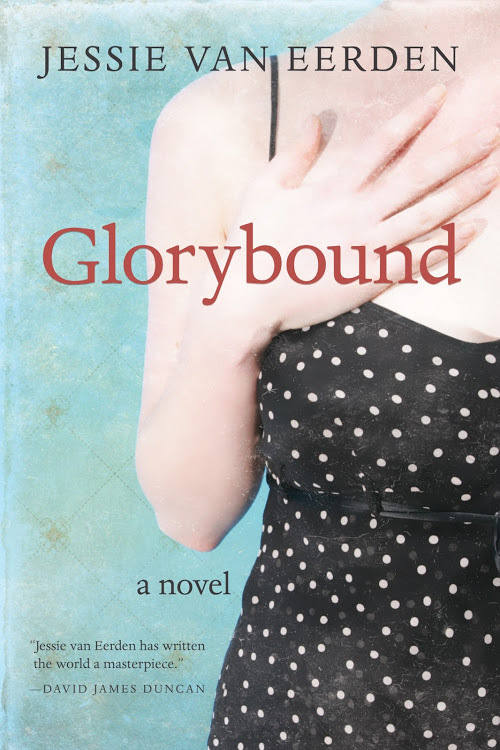 Here are a few of Glorybound‘s nameable strengths: exquisite detail and description, for example, of the dresses Aimee wears; lyric language, with a clear attention paid to every syllable; characterization through silences, diversions, and body language; tone and atmosphere. I would like to say that the West Virginia portrayed here is a true West Virginia, but that’s something I don’t know from personal experience so much as trust from what I know of Jessie and her background. (She made a lovely contribution to my birth/place project.) As a through-line, for those looking more closely for craft elements, I love the recurring quiet importance of clothing: Aimee’s dresses, Crystal’s worn work clothes, Aubrey’s discomfort with what to wear, Dotte’s seamstress work, the dresses worn by other women, the work of doing laundry. Every word counts. Jessie has since had two more books published, her second novel My Radio Radio and most recently a collection of portrait essays, The Long Weeping. I will read them all. Rating: 9 pieces of wash on the line.